Wasty has something mannish about her- time for a new topic? Definitely looking like a dude here. Yes, it has came up here, too. She really has some awful photoes. Complete with huge Adam's apple. Ugh, a woman who can't even look remotely attractive on her wedding day is rare indeed. In this, Waity is a first in the RF. Masculine? I keep saying I can't relate to her as a woman. She looks like a man in drag. Fake too. She could always get her male Adam's apple shaved down like Bruce Jenner did. That's all part of the transgender thing. Her Crone Scheming Mother needs to complete the job. I wonder if Wimpo knew about Waity possibly being transgender when he married her. It would explain the absurd aging, wasty might not have female hormones. Adam's apple the size of a small coconut. I'd never really noticed before that she looked masculine in some photos. Not all, just some. I did notice her adam's apple, I have a niece who has this but she is unmistakeably feminine looking. But those hands are something else. But if she put on a little weight, not much just a little, it would undoubtedly make her look less hard and softer like a woman. And it would suit her a lot more. (I'm thinking of that photo on Swilken Bridge). She looked healthy, fresh and feminine there. I totally agree. It would be so much better for her health, looks femininity and energy levels if Kate was a normal weight. Still slender but not skeleton thin. If I hadn't followed Waity through the pre-marriage years, I would agree with the idea that she would look more soft and feminine if she were to gain a little weight. But she has always looked incredibly hard and masculine, even when she was heavier. There is definitely a lot going on here concerning her masculine features. It's not just the face. It's the body too. Combine that with the surrogacy suspicions and you have, at the very least, a highly suspected case of severe hormone problems. Her masculine jawline, thick eyebrows, small eyes, rough skin, thin lips, Adam's apple, overly athletic body (with especially manly legs), inverted triangle body shape (very broad shoulders with very narrow hips), and man hands are all clues. And her body shape isn't just due to her thinness or athleticism. She wasn't always so thin or toned. Her body was just a fuller version of the same masculine shape. Well, William chose her as his wife! Jecca Craig isn't the most petite feminine creature in the world either, so perhaps he just likes sporty young women who don't fit the feminine ideal! Everything about her is masculine! She Cavan wear as many pretty dresses as she likes but they just make her look like a drag queen. Her body is masculine, her face is masculine, supposedly she's unable to carry a child... Even her few interests (all sports related) and personality (being super competitive is not a feminine trait) are manly. Huge man ears, bigger then Wimpo's. She Cavan wear as many pretty dresses as she likes but they just make her look like a drag queen. I think this is why all the clothes she wears looking terrible on her. Its a visual mismatch between her body and the clothing. Oh come on! There are plenty of women in the business and athletic world who are super-competitive. Ask Serena Williams, Hilary Clinton, Angela Merkal and dozens of female executives if they aren't competitive in that way. It's certainly not just a male trait. ^ Maybe Wimpy chose his 'wife' as is knowingly - and for a reason. I wonder if she is aware that she looks like a man and that's why she insists on the overly long hair. Maybe she thinks it makes her look more feminine than she would otherwise? I obviously wasn't talking about general ambition! It's the aggressive, malicious way the Midds reeled in William. Kate may not have set her sights high career wise, but her relentless pushiness is how she earned the prize. 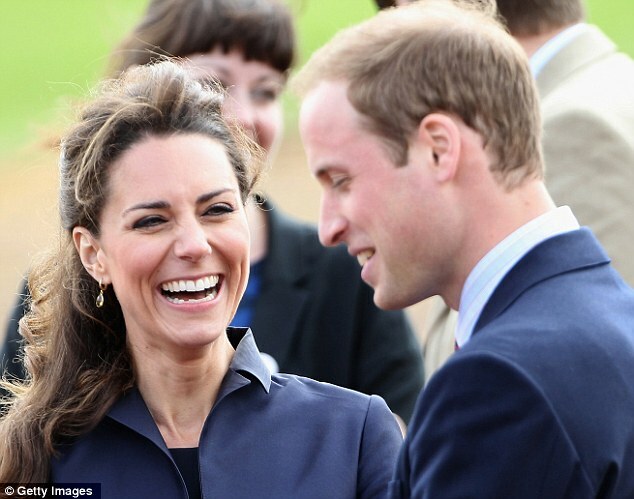 She was also said to be highly possessive of William. In couples, it is usually the man who acts that way. She also seems highly sexed, to the point of obsession. Also a trait more commonly seen with males. It's certainly not very ladylike. Agreed women can be super competitive too. But to only be interested in sports is definitely a guy thing. I don't know any women who are not interested in other things besides athletics. And yes, men generally are more competitive. Not necessarily with careers, but in all things. I am ambitious, but not competitive, for example.